Belali Oskoyi, Azita. (1396). Strategic Planning for Islamic-Iranian City. معماری و شهرسازی آرمان شهر, 10(18), 23-33. Azita Belali Oskoyi. "Strategic Planning for Islamic-Iranian City". معماری و شهرسازی آرمان شهر, 10, 18, 1396, 23-33. Belali Oskoyi, Azita. (1396). 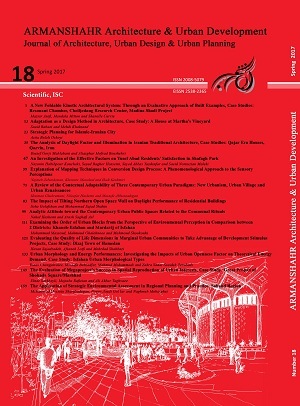 'Strategic Planning for Islamic-Iranian City', معماری و شهرسازی آرمان شهر, 10(18), pp. 23-33. Belali Oskoyi, Azita. Strategic Planning for Islamic-Iranian City. معماری و شهرسازی آرمان شهر, 1396; 10(18): 23-33. Assistant Professor of Architecture, Faculty of Architecture and Urbanism, Tabriz Islamic Art University, Tabriz, Iran.